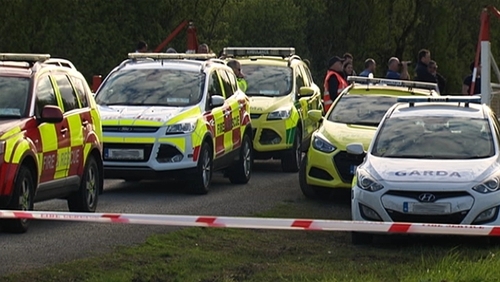 A man and a seven-year-old boy have died following a plane crash in Co Offaly. The bodies of the pilot and boy were recovered from the fuselage of the aircraft where it crashed in a bog near Edenderry. They will now be brought for a post-mortem to the Midland Regional Hospital in Tullamore. The Air Accident Investigation Unit who are investigating the crash will continue their inquiry in the morning. The aircraft took off from the airstrip at Clonbullogue and went down in an area of bog and woodland, near the Mountlucas wind farm between Edenderry and Daingean. Gardaí said the aircraft took off from Clonbullogue Airfield with 16 parachutists on board at around 2.30pm. They said all 16 made their jump from the aircraft. However, witnesses then saw the aircraft crash shortly afterwards. There were two people on board, the pilot and the seven-year-old boy. It is understood the pilot is from the UK, while the boy is the son of a member of the Parachute Club.